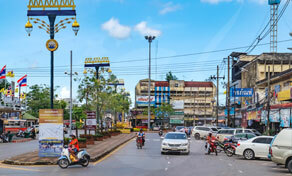 Due to being the largest province in Thailand, when it comes to transportation, Surat Thani has it all, it’s just about which is the best option for you. The aero transport is the fastest way to arrive at Surat Thani, its airport is located at 25 kilometers from the downtown and it offers daily flights from Bangkok, also at the arrivals you can take an airport shuttle for 100 baht that will drop you off near your hotel. For those who prefer to travel by land and save some money, the city also has a train station located 13... Read MoreDue to being the largest province in Thailand, when it comes to transportation, Surat Thani has it all, it’s just about which is the best option for you. The aero transport is the fastest way to arrive at Surat Thani, its airport is located at 25 kilometers from the downtown and it offers daily flights from Bangkok, also at the arrivals you can take an airport shuttle for 100 baht that will drop you off near your hotel. For those who prefer to travel by land and save some money, the city also has a train station located 13 kilometers west from the downtown and three bus terminals at the north of Surat Thani. 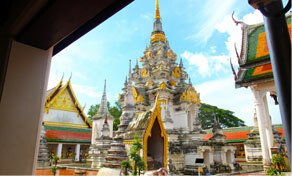 Both transportations depart from touristic cities such as Bangkok, Nakhon Si Thammarat, and Chumpon. 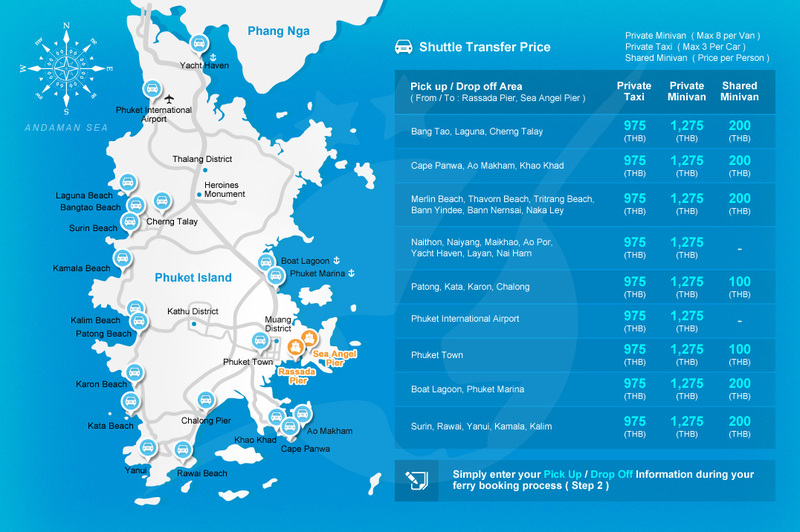 Surat Thani is known as ¨the province of the thousand islands¨ so it is surrounded by piers which offer ferry services that will take you to/from famous islands like Koh Samui, Koh Phangan, and Koh Tao. Traveling by ferry is an original way to explore the sea, besides, the ferry offers you safety equipment, comfortable seats, snacks and amazing landscapes. 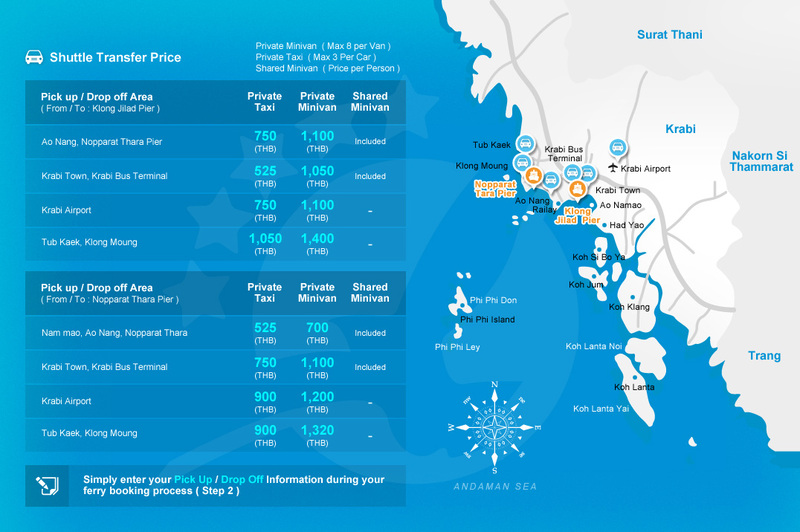 Check the updated ferry schedule below between Surat Thani and the other interesting destinations. Maybe for some people, Surat Thani is a gateway to go to nearby islands, however, it is much more than that; after all, this is the largest province in Thailand. "The City of Good People" is situated 530 kilometers from Bangkok in the south of Thailand and it is the perfect destination if you want to enjoy the southern culture of Thailand without many travelers around you. 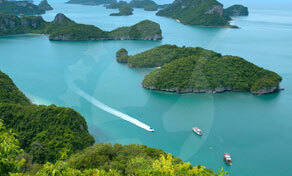 Surat Thani features colorful temples, speedboat & ferry services, delicious coastal food and night markets. This province has an area of 68 square kilometers filled with incredible landscapes, limestones, waterfalls, coast with white sand and lush forests. Its main attraction is the Mu Koh Ang Thong National Park, this is a natural marine park made up of more than 50 islands. Daily speedboats are running trips to explore the park or if you like hiking there is a path that will take you 500feet above sea level, the panoramic view of the Thailand gulf is worth all the effort. The city is encircled by many National Parks like Tai Rom Yen and Khao Sok where you will see caves, virgin jungles, and diversity of tropical flowers. Some tourists think that there is nothing special to do in Surat Thani but they can't be more wrong! As in many other places in Thailand, this city possesses a grand history background which is captured throughout their streets and temples. At Phra Boron That Chaiya you can contemplate an old architecture from the Srivijava times which is more than 1,200 years old, also there is a temple where there are preserved Buddha relics. If you are looking for fun activities to do, you can go to Monkey Training College. Get the best southern taste of Thailand in Surat Thani. Head to Soi Tonpo to discover the night market of the city. 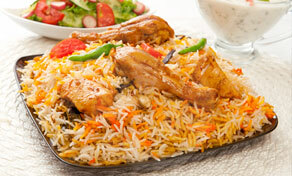 This is the best place if you are craving some Thai food, delight your palate with some biryani rice with chicken or southern Thai curry that you will find in the many stands that overflow the street. Looking for a picturesque place to dinner and accessible price? Then Tapi River is the right place, eat fresh seafood in one of its many restaurants with live music having a river as the protagonist of the scenario, besides it’s easy to arrive here, just take the tuk-tuks located in the downtown. The city offers you many ways of transportations, taxis, and tuk-tuks are everywhere! However walking in Surat Thani is easy and the cheapest way to get around, follow the river located in Ban Don zone if you want to go for a stroll or straight to the downtown where all the restaurants and travel agencies are. Songthaews are located in Talad Mai Road and it has a fare of around 15 baht. Renting a bicycle is also possible and costs around 100 baht for the whole day. Setting off to other cities from Surat Thani is simple due to its bus terminals, train station and also an airport.